Curie: Import more publications from Scopus & Pure to SciVal! 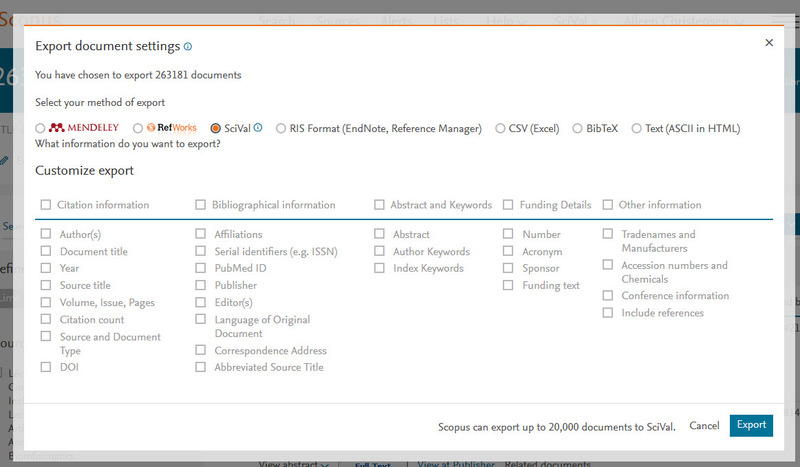 You can now import up to 20K publications from Scopus to SciVal (previously 2K publications). Furthermore you can import up to 20K publications from Pure to SciVal (previously 5K publications). 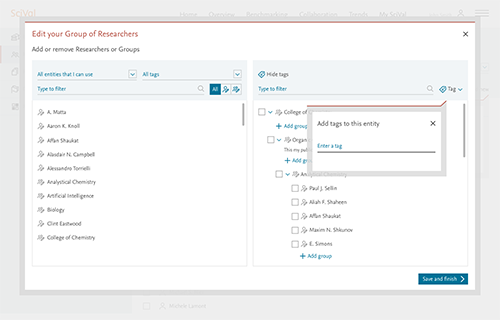 You are now able to add sub-groups and single researchers in other groups, when using the edit Groups of Researchers flow in My SciVal, rather than rebuilding them from scratch, every time a change is required. All of the available groups and researchers can be seen in your left panel, and the right panel show what the hierarchy currently looks like. Perform more powerful tag filtering with the new AND + OR search functionality. 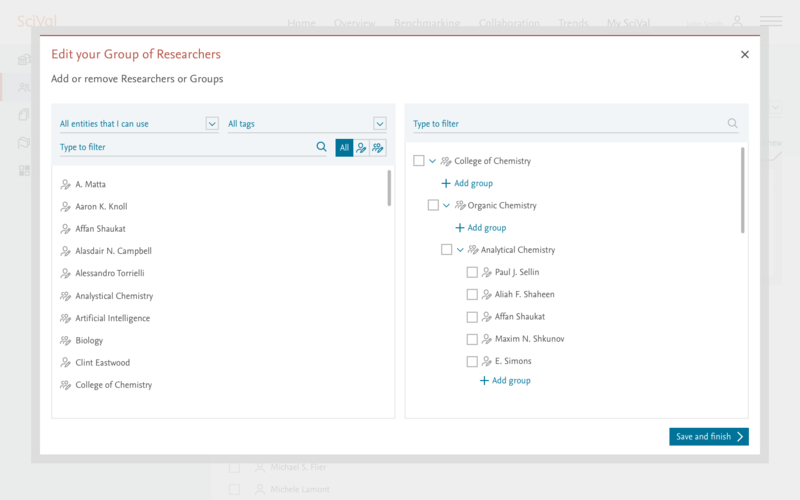 Also add unique tags to single and multiple entities when creating and editing your Groups of Researchers. You are now able to tag, and consequently sort and search by tags in the ‘create and edit’ hierarchies flow. Use the checkboxes to add multiple tags to multiple entities. The tag dropdown is the same as the one in MySciVal, so you can change privacy settings as you tag. Once a tag has been added to the entity, it appears below that entity name.